Did you know industrial warehouses are one of the highest sources of workplace injuries in Australia? With the continued growth of Australia’s capital cities – Sydney, Melbourne, Brisbane, Adelaide & Perth – there is a huge growth in industrial and transport hubs in each city. Area Safe has been helping make industrial workplaces safer for the last 15 years. Safety officers and warehouse managers enjoy Area Safe’s quality range of products and wide range that has solutions for every situation. Here at Area Safe, we specialise in safety systems and products for all types of industrial activity. From manufacturing plants to steel mills, fuel depots to bulk storage and warehousing facilities, Area Safe has the safety solutions for every application. 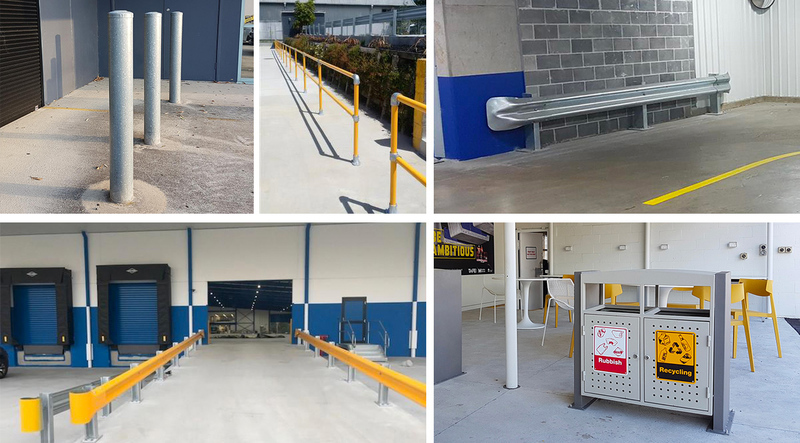 From pedestrian barriers to signage, bollards and carpark safety items to spill kits and emergency showers, Area Safe is the one stop shop for all your industrial safety needs! See below some of common products that safety officers and warehouse managers have been purchasing from Area Safe. Where exactly should a 75mm Speed Hump be used?